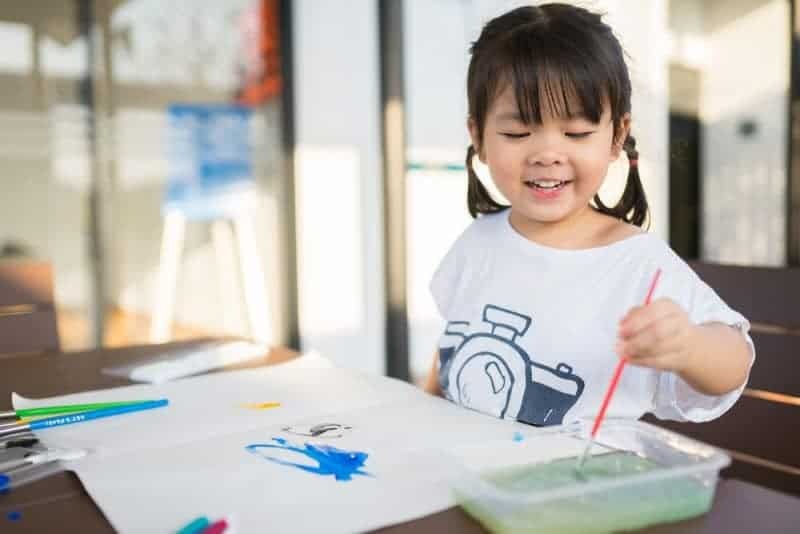 These fun indoor activities for kids will help to keep the little ones busy during those long hours stuck at home and inside this winter. Now that the days are getting colder, your children are probably spending more and more time indoors… as are you! While winter can be a great season to gather together as a family, it can also be the time when you start tearing your hair out because you’re getting cabin fever. It seems to come to a head over Christmas break, when the children are home from school and you’re trying to decompress from the holiday stress. The following fun indoor activities will help to keep the kids happily occupied this winter. There are so many simple science experiments that you can do at home to keep your children’s minds active over the break and encourage them to patiently observe nature’s process. Consider growing some indoor plants, perhaps sprouting beans on paper towels and watching their progress day by day. Or, you might try growing multicolored salt crystals. Look into coloring celery or carnations using dyed water, illustrating the process of transpiration. The great thing about science experiments is that each experiment is usually something that you can watch slowly develop. This will give your children something to be curious about, and encourage them to learn more about the way that things work. Keep those little hands busy with an arts & crafts table. This is a perfect place to allow your children’s creativity to flow. But remember, it doesn’t just have to be about coloring books and crayons. Add some new art supplies in there to keep things exciting. Let them play with watercolors and fingerpaint. You might even introduce modeling clay, macrame, papier mache, or quilling. Look up some patterns on Pinterest and have your children try to duplicate them. The hardest thing about an arts and crafts table is that it gets really messy. However, if you have all of the crafts relegated to a specific zone, hopefully you can contain the marker, the Elmer’s glue, and the scissors. You might even consider creating this space in your garage, or in your laundry room, so that you have a clear boundary where arts materials are and aren’t allowed. Just remember that if you choose to make the garage a play space, it needs to be well insulated in the winter in order for it to be comfortable and appealing to your children. 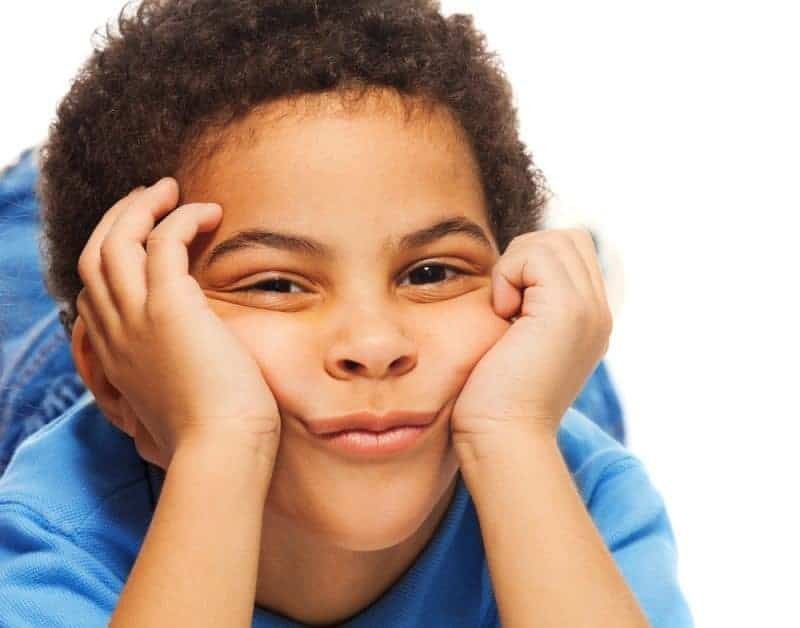 Another way to keep children’s attention on something for a sustained period of time is to motivate them to get better at it. For example, what if you had a paper plane flying contest? Your children would be constantly trying to improve their paper airplane model in order to make it win. Running contests can be difficult and might lead to more spats between your children if there’s someone who’s always losing. However, if you have children who are evenly matched and you strive to provide contests that aren’t just a matter of the oldest child winning over and over again, then you might find a lot of success with this. Consider different contests that will highlight each child’s strength. During the summer, you and your children probably get out of the house easily with a trip to the park. During the winter, it’s a lot more work to have outdoor fun. However, you can still get out of the house and be indoors when you take a family trip to the library. Look up your local library’s event schedule, which will usually have lots of scheduled activities for children. Allow your children to check out some books and spend some time at the library exploring. Do you have thespians in your household? You probably do, but you just didn’t know it! Encourage children to set up their own dramas indoors by creating a makeshift theater. This can be as simple as a large curtain rod installed in a corner in order to create a stage, and setting up a couple seats in front of it. Allow children access to dress-up clothes so they can make fun costumes. If you’re looking for something a little more simple, consider investing in a puppet theater. You can even make one yourself that can easily collapse and be tucked into the corner. This will provide endless hours of entertainment and stories for your children. Not to mention, when they’re ready to put on a show, you’ll be amazed at what they come up with! Usually, the kitchen is your zone. 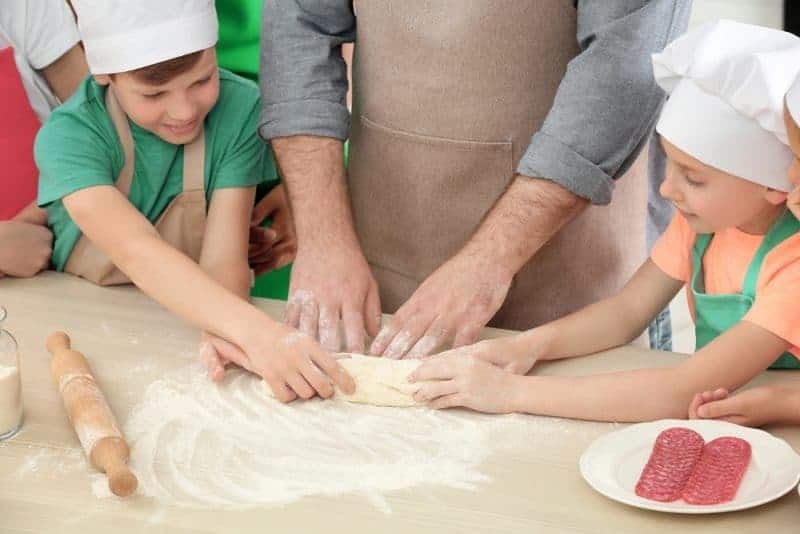 You certainly don’t want kids playing with anything dangerous, but the truth is that there are food projects that you can do with your children, whatever their age or ability. For example, you might look into creating some pumpkin ravioli, and have your youngest roll out the pasta dough and your oldest man the boiling pot where you wait for the ravioli to float. You could have your children help decorate sugar cookies for the holidays, or arrange fruit kebabs. I hope that this list of fun indoor activities for kids gave you some ideas of ways to keep your little ones busy this winter. Do you have any other ideas of fun indoor activities for kids? If so, let us know in the comments below! I like your suggestions. I think that going to the library should happen all the time. Great ideas!! All of which are totally necessary for this stay at home mama of a 4 year old lol!! We both go stir crazy in the Winter! There are so many acivities for the kids to do inside during the winter to keep them from being bored. It is also nice to do family projects. These are great for cold weather! These are great things to do with my daughter. I am having an amputation and will not to be able to move around much so doing science projects dounds fun!